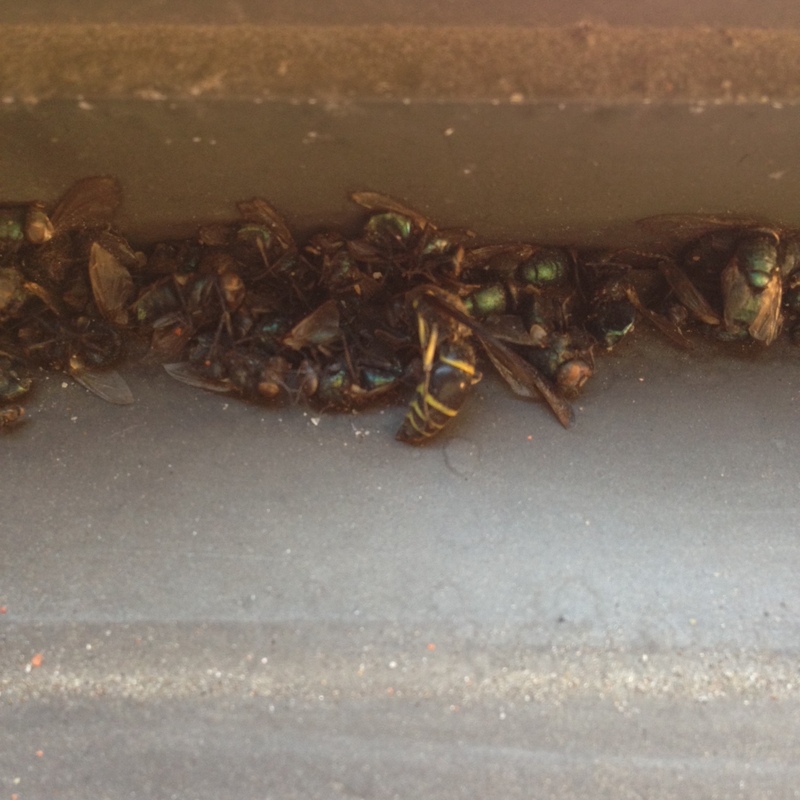 Found in the shadowy gully between window and screen of someone else’s fourteenth story apartment, a veritable mausoleum of desiccated Diptera and at least one Hymenoptera. I’m just finishing up my costume for tonight: I’m going as a landfill full of Halloween garbage. Oh, please send a photo! Just kidding, to comment about the amazing amount of garbage our holidays produce. So much plastic and whatever nightmare of petroleum fake webbing is made of. Once I found a patch of that stuff stretched out along a fence; it was filled with wasps that it had somehow snagged and killed. Yeah, we’ve made Halloween scary for planet earth.